The second round of Adventure Cards been mailed out to over 2,000 new participants. There are now about 7,000 adventure cards in use. These cards are one of the most significant signs of our recent shift to our service model. There has been much discussion about the card itself. I’ve written a small series of posts to help illustrate the full service model change of which the adventure card is just one piece. If I had the time and the ability, I would like to speak with everyone directly, face-to-face. Over the past year I’ve met with many troop and pack committee’s, unit volunteers and others. We’ve sent out videos, mailings, visited Scouting events and dozens of other efforts. I do hope that you read all of these articles and look for opportunities for the council to help you make Scouting Thrive. IMPORTANT NOTE TO UNIT LEADERS: One thing that has become clear through this entire process is the need to communicate directly with parents while supporting the troop or pack leadership. In fact, that’s a significant objective of the business model shift. 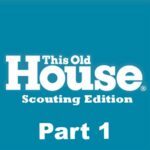 Please forward this message to the parents in your unit so they can take advantage of additional Scouting benefits. This month the families involved with Scouting will start to see direct-mail postcards and information on the webpage with these logos. That’s a signal that the Adventure Card discounts are available and advancement opportunities are directly recorded into the child’s scout book account. These logos mean Scouts can participate in inexpensive (or free) outdoor activities that support their personal Scouting goals. Their parents can get excited and energized about their child’s progress and their involvement. One of the technical enhancements is built into the webpage and the Scout Book application. Yet many families don’t realize this advantage or how to access these discounts. PARENTS: You are already entitled to discounts for the entire family and activities, enrichment programs and training classes. Even if you lost your child’s card. Please call or e-mail the council to Heather.sheehan@scouting.org or Lindsey.dionne@scouting.org 617.615.0004 for a 2-minute tutorial in how to get your benefits and sign up for local programs for the whole family. Additionally, we have sent your information to your unit leader so they can help you access your benefits. 2. The council can now help unit leader increase capacity or skills around patrol method, youth leadership parent engagement or other core Scouting road blocks to thriving troop or pack. Sadly, it took us almost 50 years to re-arrange our practices, and in those 50 years we lost credibility and units (groups of parents) decided to “go it alone.” During that time we lost so much more than just credibility, we lost resources and brand relevancy. We’d be crazy if we thought every family spent $1,200 on Scouting programs each year. We also realize that today all these programs and services are available at our Milton location and we are growing our Kingston NH location to match and serve the northern communities more effectively. The satellite locations are an attempt to provide value and convenience as we grow (more about satellites below). 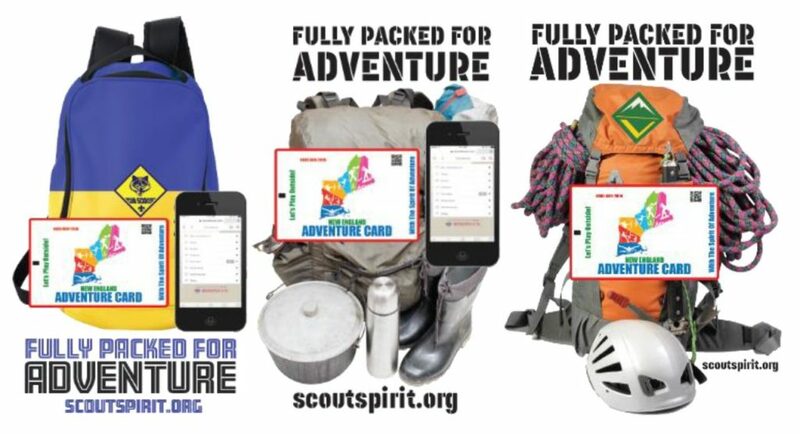 As we re-designed our business model to provide programs and services that help engage youth and parents in Scouting it was important that the adventure card value could be delivered regardless of distance and convenience to Milton, or a family’s interest in summer camp or other Scouting programs. Each Pack attends one or two “big ticket” over nights. Most popular are Saturday into Sunday evening. The easiest way to receive the full value of the card is substituting one of those overnight or day trips – for a day or evening trip to either Location Milton MA or Kingston NH. Battleship Cove Overnight – sleep on a battleship $65 per person Learn about the navy, sailing, military, enjoy the ships, small Scouting museum sleep like a sailor. and $12 for adults or siblings or guests Swimming, rock climbing, shooting sports, outdoor camping, wilderness survival and cooking skills, ropes course winter camping skills and sports, skating, snow shelters, snurfing. Most advancements available and directly inputted to your Scout Book app. The more often the pack attends the more value they derive and the more outdoor programs the Scout can enjoy. He can attend all year long for free with his family, friends or den. Admission for all those visits are FREE. 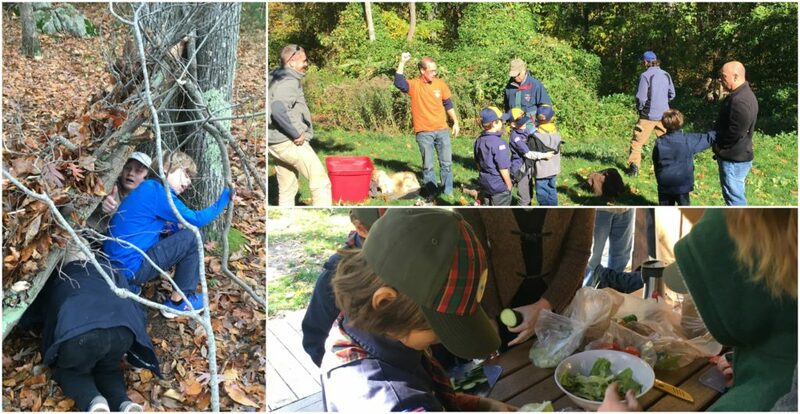 Of course, the Scout can also receive discounts for summer camp (day camps are located throughout the council) and dozens of other activities throughout the year all adding value to his card and increasing his outdoor experience. All these programs are open and available for Scouts within the Spirit of Adventure Council. Check out the programs and locations through NewEnglandBaseCamp.org Don’t forget to check in with Heather or Lindsey to activate your card. Summer programs are also now open at locations all around North Eastern MA are available for everyone. The online campership application is also available. February Winter Camps at both locations programs are filling up fast, but there are still a few slots open. April vacation camp registration opens soon. Find a satellite location near you for a great den activity this spring. Plan a birthday party at camp! Check out this calendar of great family events and special programs to see when you’d like to visit Base Camp in Milton! When you use your adventure card, all the appropriate discounts will apply! Hope to see you at camp.